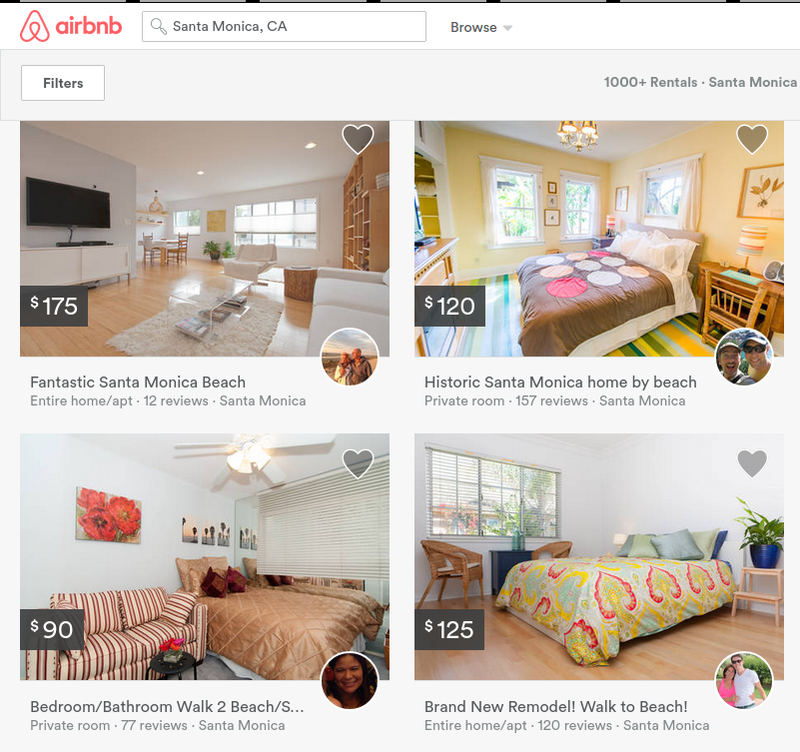 The City Council put to rest Tuesday night what has become one of the single-most divisive development projects Santa Monica has seen in decades when it voted 4-1 to rescind its approval of the Bergamot Transit Village development. After months of acrimonious debate, a successful referendum drive, and several rallies by a coalition of anti-development activists, the Council voted 4-1 to rescind its February approval of the 765,000 square-foot residential and commercial project proposed by Texas-based developer Hines for a five-acre “super block” across the street from a future Expo light rail station. While the decision settles the matter of whether project will be on the November ballot (it will not), it opens up the question of what Hines will do with the property, currently home to an abandoned Papermate factory. 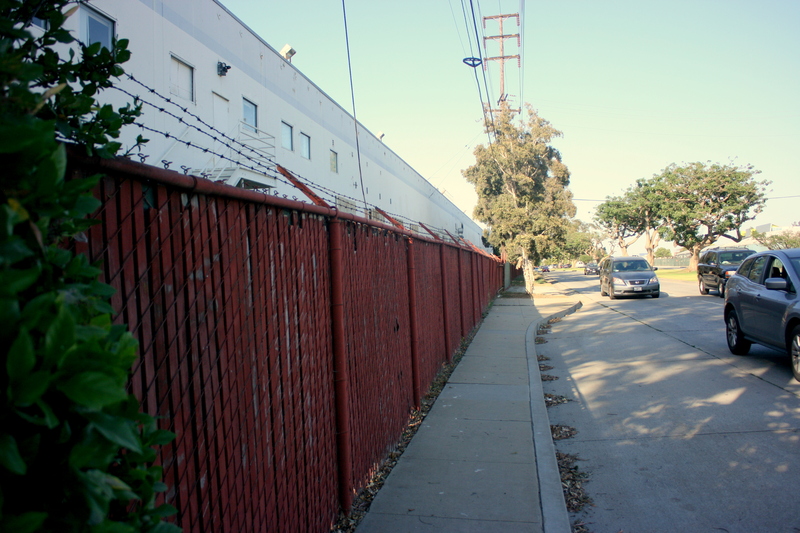 On the south side of the former Papermate site, a barbed-wire fence lines Olympic Boulevard. “This is private property. They hold the cards and they get to decide what do with it,” said Councilmember Gleam Davis, one of the four who approved the project originally. However, Davis joined Councilmembers Ted Winterer, Kevin McKeown and Tony Vazquez in voting to rescind the project because she said that the referendum drive to overturn the project had turned a land use decision into a political one. “Putting this on the ballot in November will run a serious risk of creating great rifts in this city that will take a long time to heal,” she said. 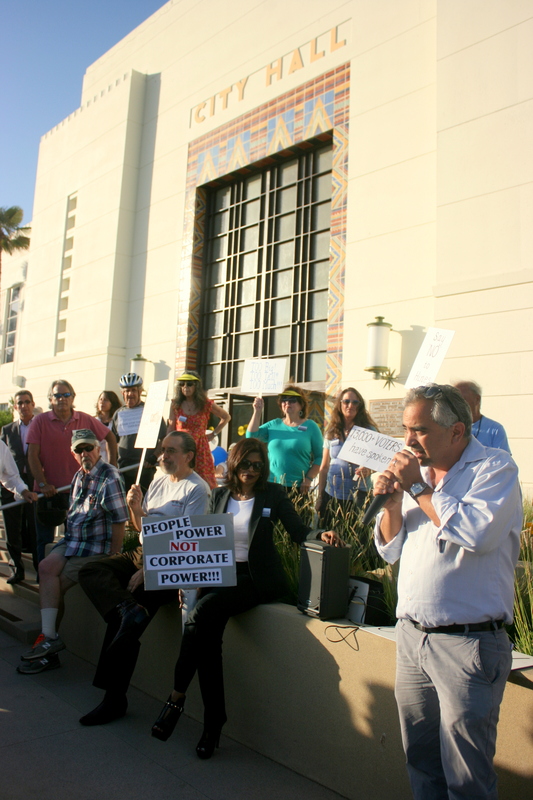 There was some inkling of that in March when the coalition gathering signatures to overturn the development agreement submitted campaign finance disclosure forms showing that about half its funding came from the Huntley Hotel, a vocal opponent of a proposed redevelopment by its neighboring hotel, the Miramar. 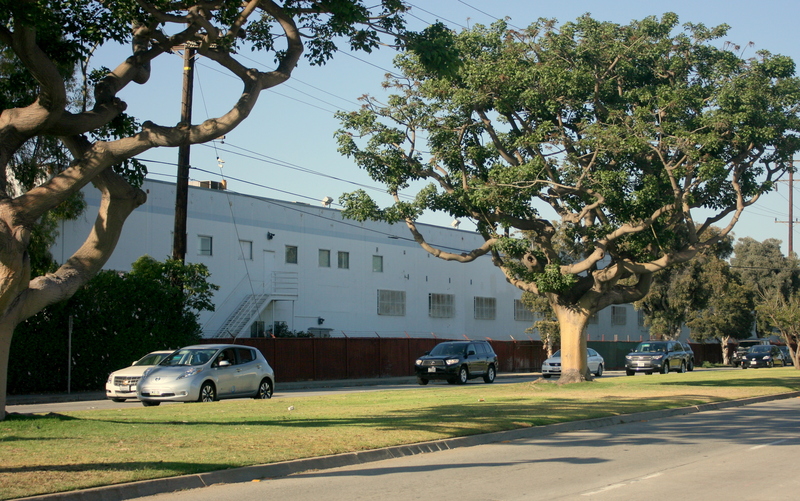 While Davis voted against the project, she said that if Hines decides to simply reoccupy the current building – which it can do without Council approval – it could be “if not a mortal blow, a serious blow” to the City’s Bergamot Area Plan, which aims to transform the former industrial corridor into a walkable, mixed-use creative district. Winterer, Vazquez and McKeown all held their positions on the project in part because they believed that of the 427 housing units proposed in the plan, not enough were affordable to low-income households. 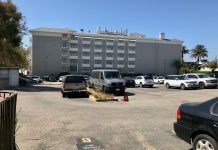 The project as proposed would have included about 300,000 square feet of office space, but Vazquez said he would have rather seen something a project that was nearly 100 percent residential. On the dais, Winterer spoke about the importance of providing affordable housing near transit since studies show that low-income households are transit’s primary users. Mayor Pro Tempore Terry O’Day applauded the referendum effort before he reminisced about coming to his first City Council meeting in the 1990s. Opponents of the project gather in front of City Hall shortly before Tuesday’s Council meeting. 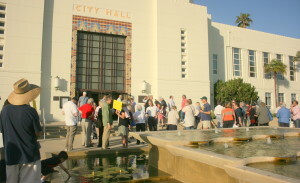 O’Day cast the sole dissenting vote against rescinding the project’s approval (Mayor Pam O’Connor and Councilmember Bob Holbrook abstained), arguing that while the project as planned may not be ideal, it is preferable to what Hines could do without Council approval since the city would lose out on the community benefits negotiated in the development agreement. “The project in front of us provides housing next to transit, which is what we all said we wanted in order to protect our neighborhoods and to plan for our future,” said O’Day, referring to the recently-approved Bergamot Area Plan, which calls for a mix of housing and office space development in the city’s former industrial corridor. “It provides community benefits that are significant. It improves circulation by creating cut-through streets and it adds affordable housing,” he said, referring to the roughly $32.2 million Hines agreed to pay towards parks, schools and other community benefits as part of the negotiated deal that was scuttled Tuesday. “Does it do enough of all of those things? Maybe not. But in comparison to what is there today and what could be built by simply reoccupying, it does a lot,” he said to jeers from the packed council chambers. Before the meeting, more than 100 activists turned out for a protest in front of City Hall. Many carried signs with slogans like “Hines Go Home!” and “People Power Not Corporate Power.” They decried the traffic the development would bring, since the environmental impact report (EIR) says that, without any mitigation measures, the project could lead to an additional 7,000 daily trips. 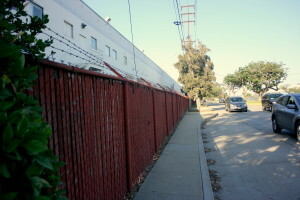 The project’s proponents, however, pointed to the aggressive traffic reduction strategies built into the development agreement (Here is a pro-con discussion between Planning Commissioner Sue Himmelrich and Santa Monica Next Advisory Boardmember Juan Matute that aired on KPCC the day of the Council meeting that briefly touches on some of the more controversial points of the topic). During the meeting, about 30 people spoke, almost all of them against the project. Opponents say the project is too large and will bring too much traffic. 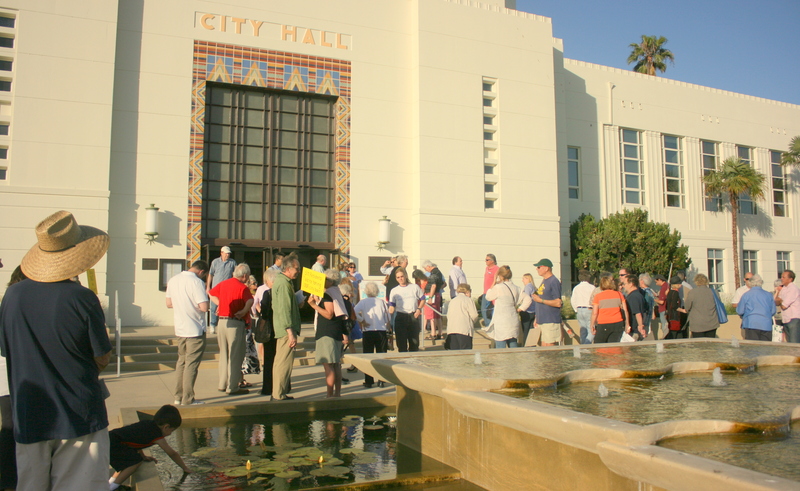 “Tonight is about much more about a referendum,” said Diana Gordon, the head of the anti-development group Santa Monica Coalition for a Livable City (SMCLC). Former Mayor Mike Feinstein, who supported the referendum, argued that rescinding the project could lead to an even better outcome, citing historical examples of referenda in the city, including one that overturned a plan put forward by a former City Council in the 1970s to demolish the Pier and build an artificial island for a hotel. 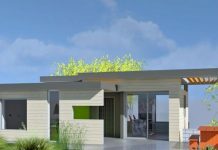 While the immediate topic was the future of the Bergamot Transit Village project, Holbrook, a native of Santa Monica and the Council’s longest-serving member, took the opportunity to address the tone of the recent debate. “The rhetoric I have received has been extremely nasty,” he said, even swearing from the dais as he quoted some of the epithets that have been hurled at him and his colleagues over the Hines project. Holbrook went on to address the idea of some of the speakers that somehow Santa Monica has changed for the worse over the years. The entire video of last night’s City Council meeting is available online on the City’s website.